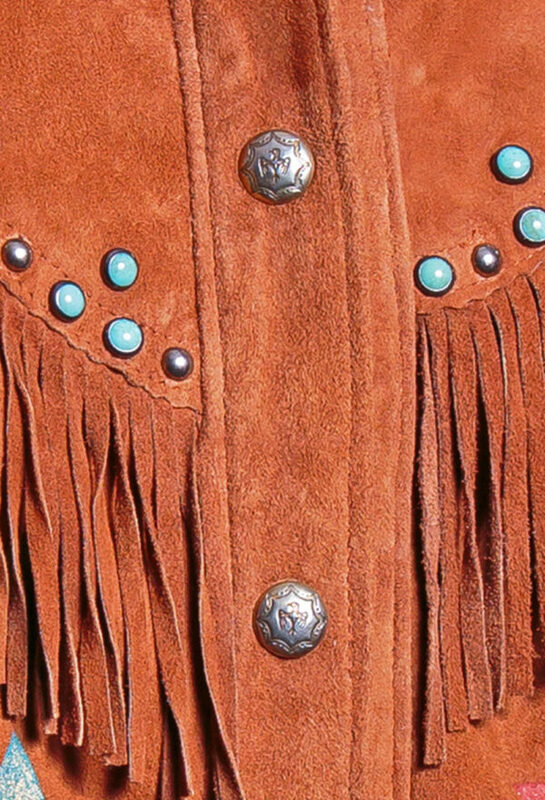 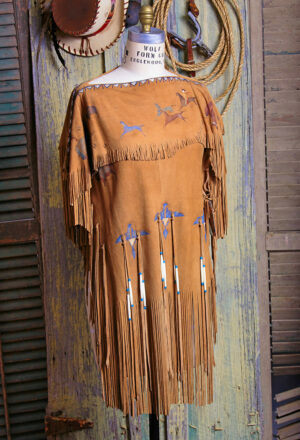 Shirt Jacket in boar suede with fringe. 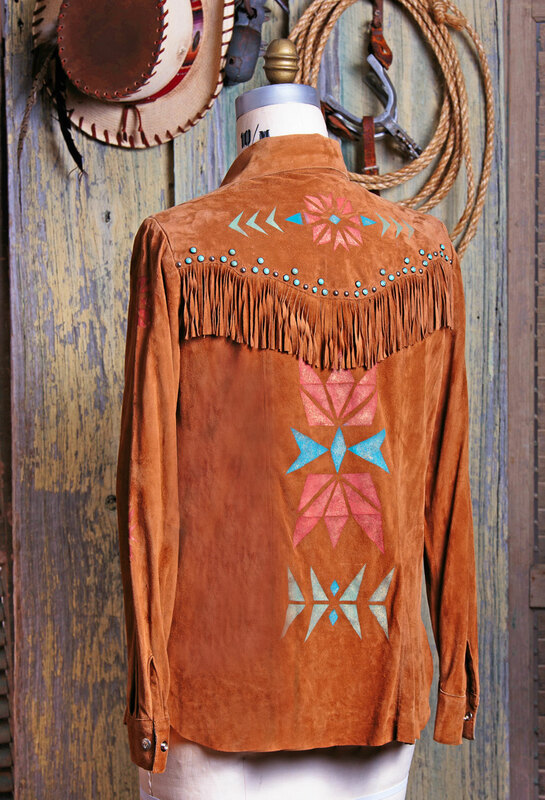 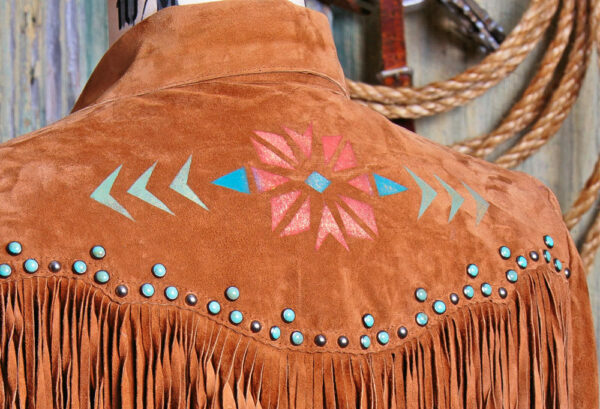 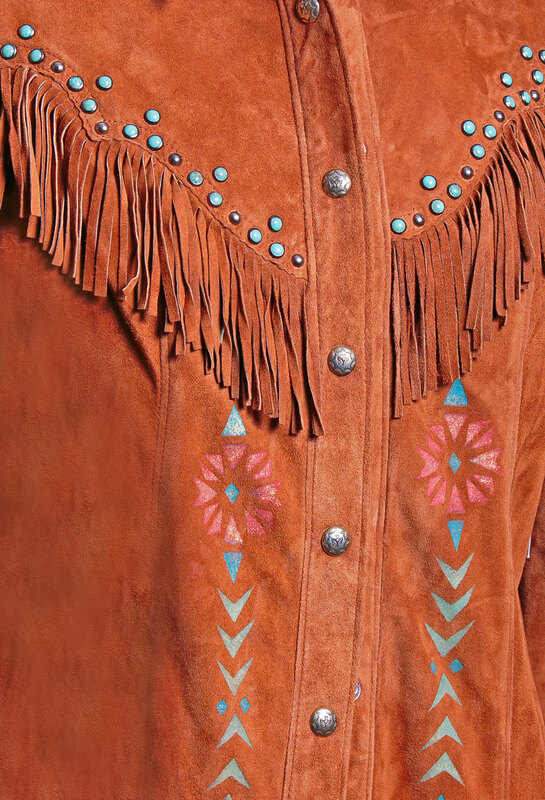 Features also include Patricia Wolf “Route 66” hand painted detail and turquoise colored stones on the front back yokes. 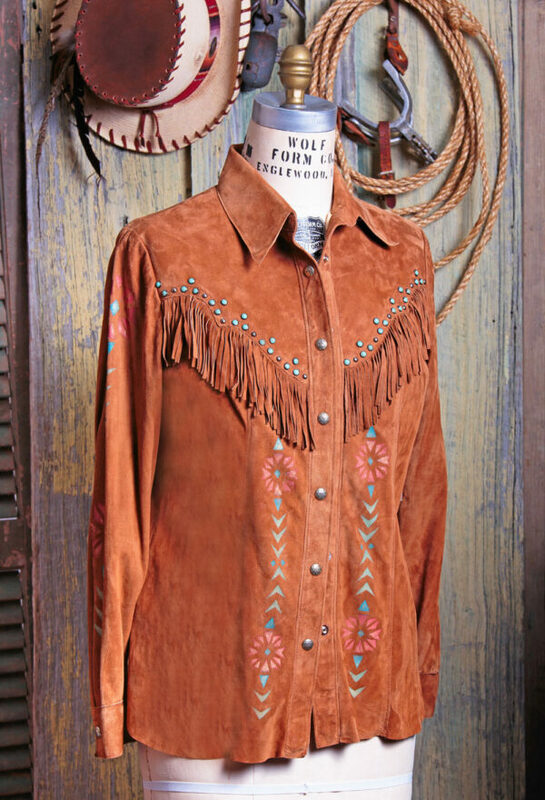 Shirt Jacket closes with 6 Thunderbird snaps, custom made for Patricia Wolf. 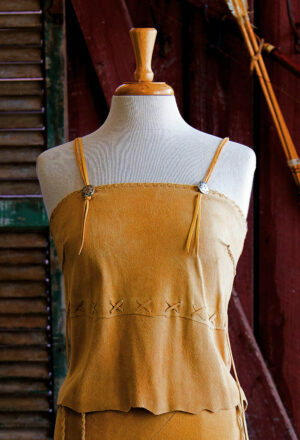 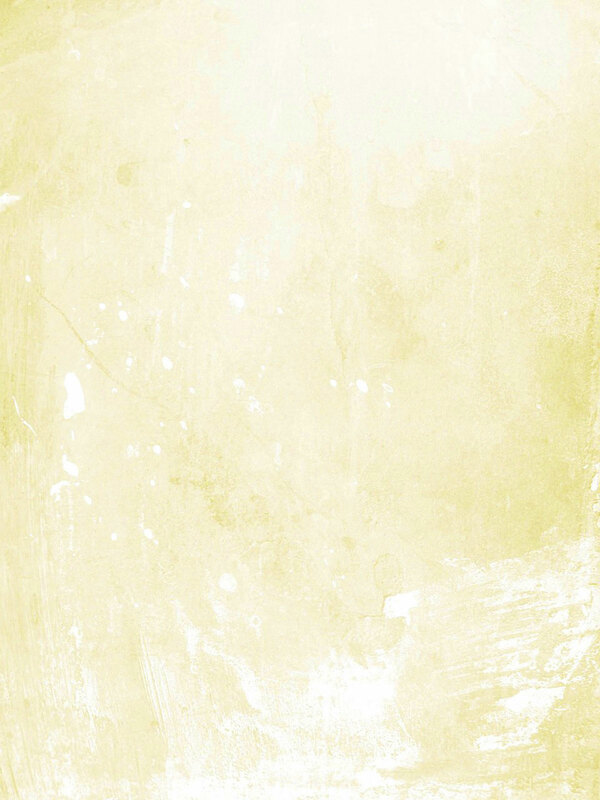 Shown in Tobacco.